The Zeiss Victory FL 8x32 T* Binoculars are compact and lightweight. This makes them ideal for physically active hunters, who are masters at packing their high-performance equipment into the tightest spaces. This practice gave Carl Zeiss engineers the inspiration to pack the power of the Victory FL into a compact format; thus, the Victory FL 8x32 T* Binoculars are always at hand and ideal for long excursions. Also perfect for those attending one of our Woodlore Tracking courses. Boasting high-performance optics in an extremely lightweight and portable size, the 32 mm objective lenses make these binoculars ideal for daylight observation and stalking (effective from dawn to dusk) and long adventures into the wilderness where heavier models would hinder your mobility. These premium waterproof and nitrogen-filled field glasses feature dielectric mirror coatings for superior image brightness and contrast, twist-up eyecups for operating comfort, and an award-winning offset hinge design for exceptional compactness and handling. All Victory FL binoculars share one thing in common: they maximize your experience in the field. An array of groundbreaking optical engineering touchstones, such as the FL Concept and LotuTec® lens coating, set Victory FL binoculars apart by producing the brightest, sharpest, most vivid images. Advanced ergonomics and perfect balance promote comfortable use during prolonged observation. Victory FL binoculars are guaranteed to make every moment in the field more satisfying. High-performance fluoride glasses (FL) enhance precision, colour intensity and brightness of the image in fading daylight. The LotuTec® lens coating makes any moisture simply drip off the lenses. 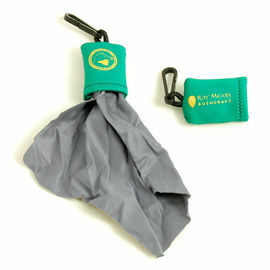 The easy-to-operate, twistable eye cups both lock securely into various positions. The focusing system has a lockable diopter adjustment and wide-angle field of view to enhance ease of use. Victory binoculars offer maximum viewing comfort even in demanding situations and during long periods of observation. Zeiss Victory FL 8x32 T Binoculars is rated 5/5 based on 1 customer review. I bought a pair of these binoculars just over a year ago and they are excellent. Even in poor light they give a very clear view indeed. These binoculars are light, compact and comfortable to hold. They are also easy to adjust. 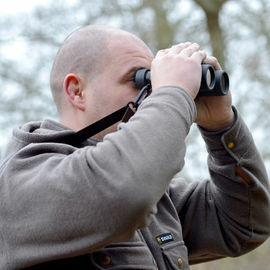 Rubber armour protects the binoculars from the weather and stops them making a noise should they come into contact with anything you are wearing or carrying. 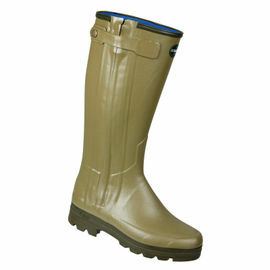 They are ideal for observing wildlife and for use when tracking.